Tough cleaning power cuts dirt and grease on hard surfaces without the need for rinsing. Deodorizes and eliminates unpleasant odors. 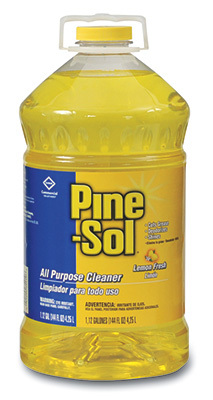 When used at full strength Pine-Sol cleaners can be used to disinfect non-food contact surfaces.